A social session with friends brought James Hutton his first Yateley carp – all 43lb 8oz of it. Having booked out the Pads Lake with pals for three nights, James settled into his session more in hope than expectation. He said: “When we arrived I spoke to some anglers who had fished before us, and between six of them they had fished two nights for just one fish. After a draw for swims, James opted to fish in peg two, which offers a tree-lined margin and some open water. He said: “After leading about, I identified the tree area to be a little shallow and so plonked the lead a few rod lengths out from it, where I found a nice drop off. After two of James’s party bagged fish on the first night, the group’s confidence levels rose. 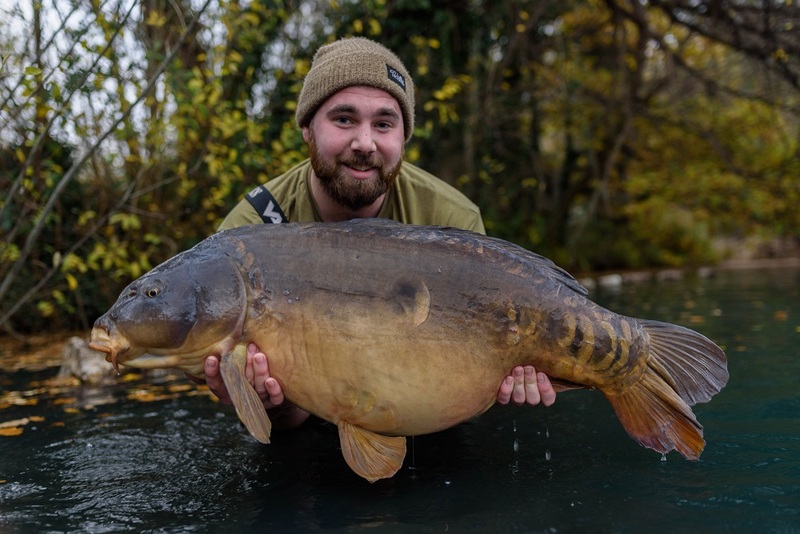 “With the pressure dropping slowly, things were starting to look really good and after 24 hours, at 10.30am, one of my bobbins picked up and I latched into a powerful specimen,” said James. “After a heavy, dogged battle, I slipped the net under a huge-bodied mirror with a pronounced single scale.